WOMANchester responds to What Is the City but the people? and What if Women Ruled the World? It consists of 250 limited edition postcards containing a collage and a poem, each with the QR code that links to an audio of the poem. 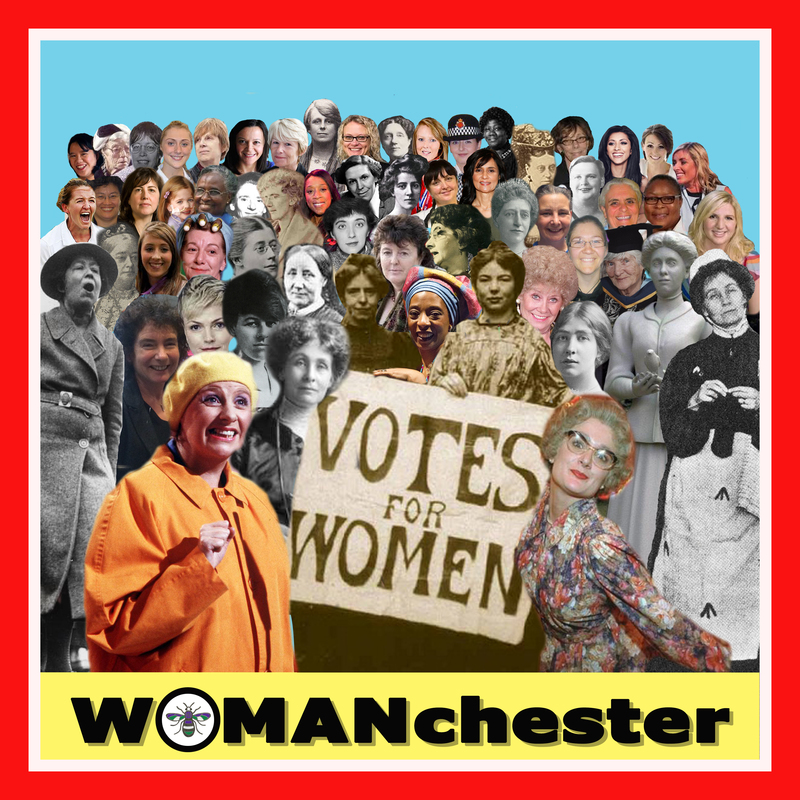 The collage, created by Vicky Boylan, pays homage to some of the most inspiring women of Manchester, women who have lived and worked in Manchester or made a significant impact on our great city. 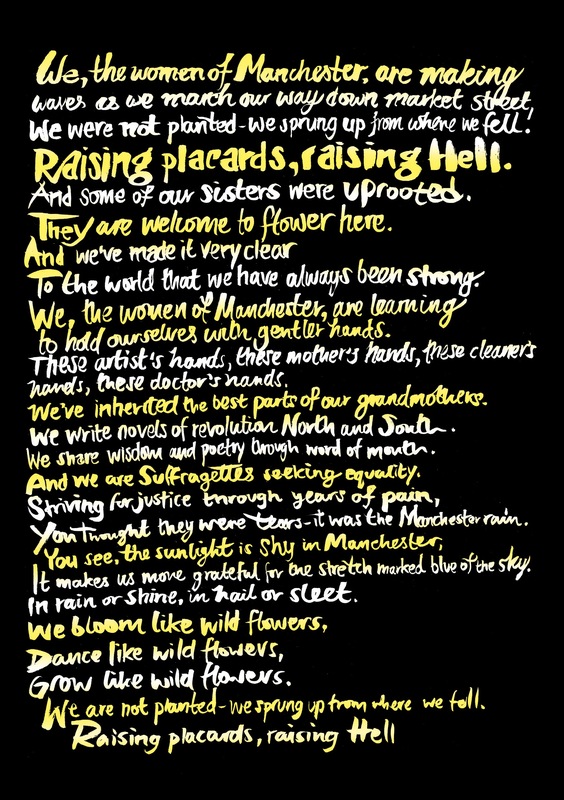 The poem on the other side, written by Ella Otomewo, gives a voice to the women of Manchester and was illustrated by Nick Chaffe.